TraveLibro is a travel social networking portal which aims to create a travel eco-system to connect travellers with fellow travellers, bloggers, travel agents, on-line travel agents and other industry partners. From a traveller’s perspective you can Explore (80 Countries, 1200 Cities, 20-50 Must Do’s per city for different travellers, over 10,000 hotels, more than 35,000 restaurants and over 3000 itineraries), Plan (3 Step simple trip planner using the information mentioned in Explore), Book (Meta Search engine launching in March), Experience (TraveLibro App – On the Go Journeys), Share (Social Networking Element) and Cherish your past memories (Travel Diaries) all under one roof, on TraveLibro. 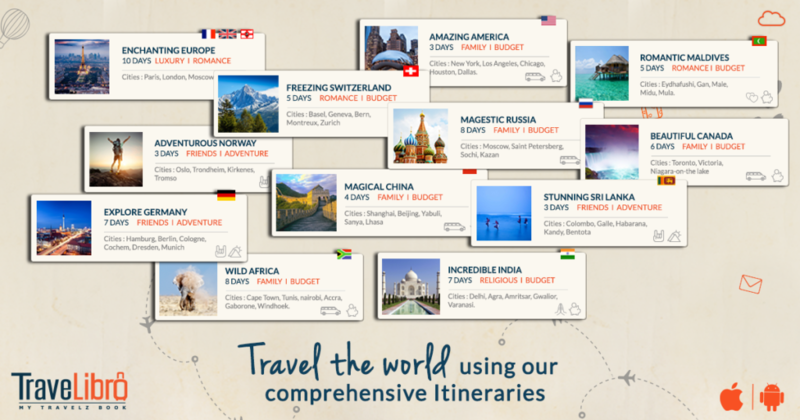 TraveLibro brings globetrotters, travel enthusiasts, businesses and advertisers on a single platform, such that it adds value to all and creates a holistic experience. How TraveLibro came into existence? While Monish was planning his honeymoon he got the idea that there is not a single portal where he could draw inspiration from the past trip of his friends. Additionally he had to visit over fifteen websites and spend over ten hours to plan his trip. That’s where the idea of TraveLibro originated of having that one single platform which would do everything for a traveller with regards to their travels. 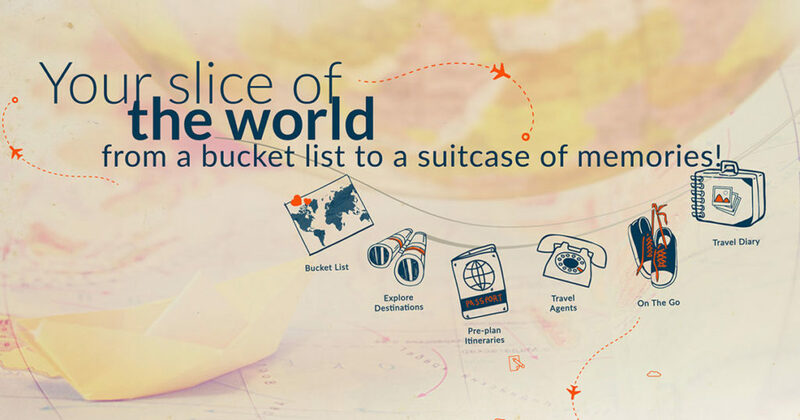 A one stop shop space which encapsulates all the aspects of the travel on a single platform. While there a lot websites which allow you to make bookings and tons of social networks which solve a particular need there is none which bridges the gap. That’s where TraveLibro steps in. TraveLibro started in 2013 while Monish was still at Deutsche Bank. He launched the Beta website in March 2014. That’s when he draw an attractive offer from Malhar Gala who came onboard as a Co-Founder and brought in substantial money into the business in addition to the huge investment already made by Monish. This gave him the flexibility of coming onboard full time and setting up the entire business by taking the plunge. 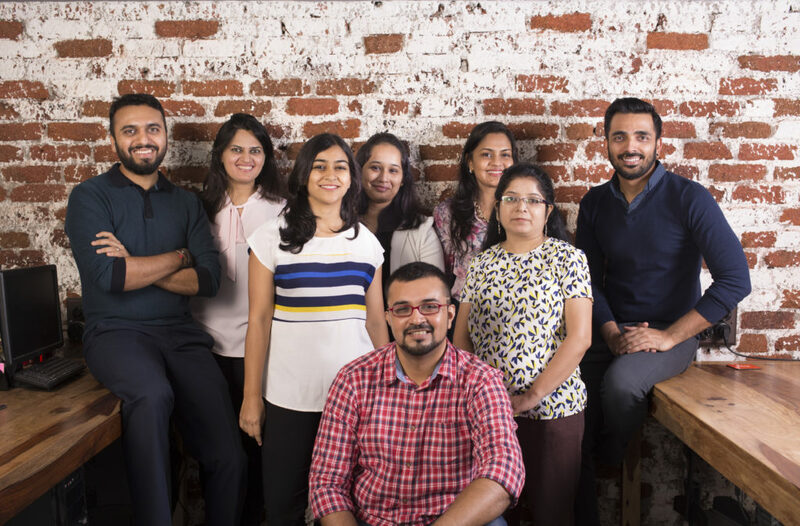 In December 2014 they rented their first office and hired some talented individuals from the technology, travel, research, digital and editorial space. Today TraveLibro is the end result of the hard work and contribution of over thirty individuals. It has been a terrific journey so far. For the first two years while they were still setting up TraveLibro, they were working jobs and setting up TraveLibro. At this point for a stretch of 24 months they slept for less than 3 hours each night, work the job through the day and TraveLibro through the night. Its challenging even now as Monish has two children who are less than 15 months old and Malhar has a daughter who is 10 months old, hence work life balance becomes extremely challenging. Its important that any individual who want to achieve success is passionate, dedicated and courageous. They believe in taking a step at a time and quickly learn from their mistakes. This has given them the patience of going the distance and constantly evolving their product before they hit the centre stage and start marketing their product. 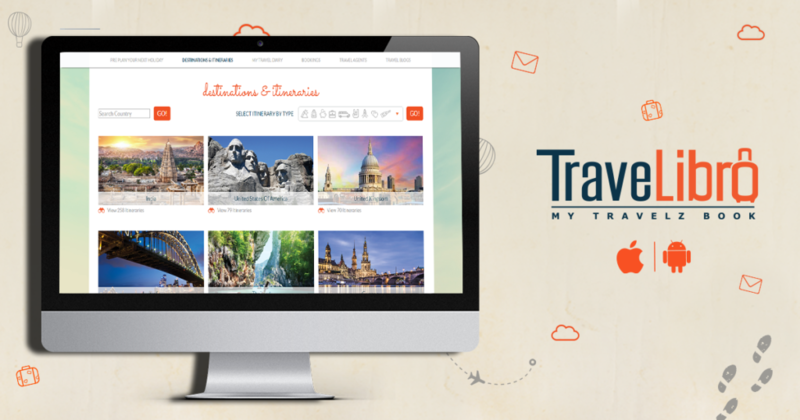 TraveLibro launched its website in August 2015 and App in December 2015. Since then they have received 400,000 unique visitors on the Portal and 20,000 app downloads from over 49 countries. They do not believe they have made it yet as they are extremely hungry for success and are quite critical on themselves. They have miles to go before they rest as opposed to sleep. 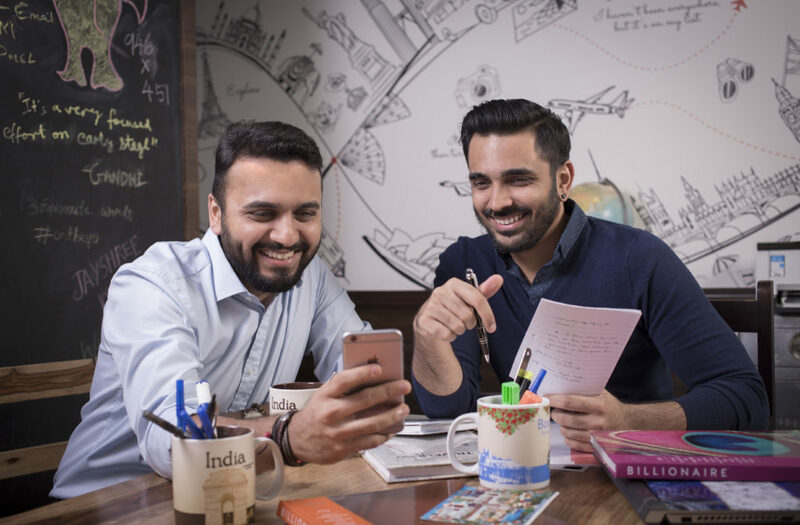 TraveLibro is completely bootstrapped by Monish and Malhar Gala. They followed a very quick path yet an extremely focused one. In March 2014 they launched a beta site which was open to a very limited set of audience and marketed too to a very small test audience. This gave them a lot of insights on what travellers are looking for. In addition to that it helped them to understand their UI and UX a lot more in detail. Since then they have been making constant enhancements to their UI and UX and ensuring that the users time on TraveLibro is easy and worthwhile. TraveLibro has a lot of content on the portal and they are seeing this being utilised as the average time spent on the portal is above 5 minutes. They are seeing thousands of users using their booking pages to plan their next holiday. With TraveLibro they are trying to build an entire ecosystem where travellers can do everything on one portal. They are expanding their business to be an out an out social network with travel at the core of it. Users will be able to plan their holidays in a customizable fashion and book from a wide range of online and traditional travel agents. Over the next twelve months they are focusing on an extremely user friendly unique social networking app and an evolved meta search with over 60 online travel agents. TraveLibro aims to be one of the biggest meta searches in the world where a traveller can book anything travel related under the sun. TraveLibro is a unique combination of the travel and social networking industries. More than 2.8 Billion people across the world use the internet, 2.1 billion users have smart phones, 2.08 billion are active on social media platforms, above 1.1 Billion people travel each year and the entire travel industry is worth more than $2.4 trillion. There is no entity though that combines both (travel and social) these worlds providing an entire experience to a traveller, from planning the next big holiday on the bucket list to cherishing all your travel memories forever. TraveLibro looks to address to that void in between both these massive industries. As a brand, TraveLibro endeavours to provide a seamless user experience on the app and website. 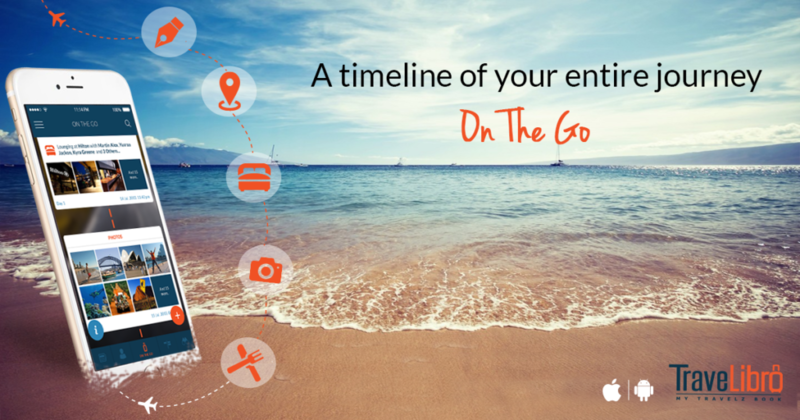 And facilitate by creating a travel eco-system enabling the travel community to fulfil all their travel needs from choosing a holiday destination to capturing it in their personal travel diary. Thus, each traveller has his / her own unique travel journeys captured in a digital form which they can cherish for a lifetime. Their USP is a feature on the App called On the Go. For those of you who prefer to go off the beaten track and find something new with every destination, download the one stop app with its suggested must-do’s and list of hotels and restaurants. That’s not all! With the ‘On the Go’ tab, you can also track your travel experience with simple check-ins, picture uploads and status messages and (like the name suggests) while you are on the go. Furthermore, it allows friends travelling together to share experiences and post moments to the same timeline so that you can relive your travel moments over and over again! A traveller can also follow and get inspired by travel bloggers from around the world by checking out their travel journeys. TraveLibro also provides a platform for travel agents to promote their product and service offerings to a vast audience of travellers from around the world. From a traveller standpoint, he/she can simply connect with a travel agent specializing in specific travel services from anywhere in the world. The product differentiation is that it is your one stop shop for all things travel related. You don’t need to hunt multiple websites for information, travel planning, booking or even experiencing. TraveLibro is your entire travel experience, right from the bucket list to a suitcase full of memories. You can read more about their journey by downloading this pdf file.